Kirsten is full of passion and zeal. She is a dreamer to her core and doesn’t shy away from the impossible. She sees every day as an adventure and an opportunity to love and serve well; taking time to connect with people’s hearts and encourage them. She often refers to herself as an “Identity Nerd” because, well, she nerds out about identity! She is vibrant, joyful, and a friend who will always listen and remind you to laugh. She is from Pekin, Illinois; married to her husband, Vince; and has one son, Josiah. Family is very important and she places high priority on the people near and dear to her. She is refreshed by a sandy beach; a good book; or a cup of strong, black coffee – all in the company of a friend, of course! In her free time she loves to create and has many expressions; she can lathe a pen, construct a bracelet, make a ceramic bowl, and draw your name in a fancy way! 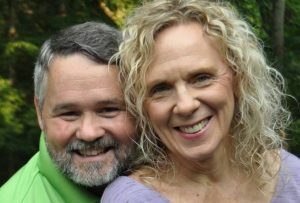 At Vineyard, Kirsten is the Pastor of Community Life & Transformational Prayer. She oversees the planning of our family times and fellowship gatherings at Vineyard, as well as the running of our Women’s Ministry. She also plays a significant role in our Healing Prayer Ministry by training leaders; imparting vision; and developing ways in which the healing team can exist to minister in the church and community. In her lifetime she would love to see every member of her family walking in the fullness of their destiny. Her favorite scripture is 2 Corinthians 5:17, which says, “This means that anyone who belongs to Christ has become a new person. The old life is gone; a new life has begun!